Carpool Karaoke hasn't been the smash hit Apple may have hoped for. 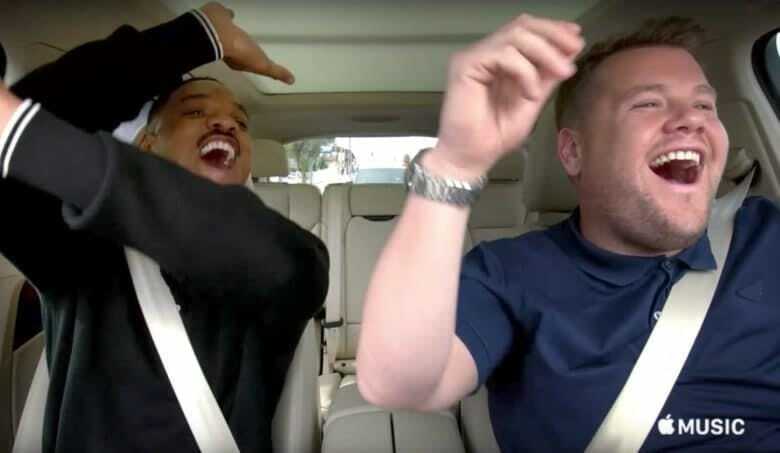 Apple is 0-2 when it comes to critical acclaim for its original series, after early reviews for its Carpool Karaoke spinoff show have been largely negative. The show debuted this week for Apple Music subscribers. While it’s still early days for Apple’s original content, between this and Planet of the Apps, things aren’t exactly looking good! The U.K.’s Guardian newspaper doesn’t mince words, either. The show follows on from Planet of the Apps, Apple’s attempt to turn iOS development into the equivalent of cooking a meal, baking a cake, or singing to score a record contract: all of which have formed the basis of lucrative — and lasting — reality TV shows. Interestingly, Planet was slammed for similar reasons. While both ideas have the potential to take users closer to, respectively, the world of app development (something Apple is keen to push, particularly in parts of the world where it desperately wants to expand) and our favorite celebrities, they come up short. Just like its carefully managed App Store, and the meticulously rehearsed Apple keynotes, Apple’s original TV shows are polished in a way that highlights the artifice of it all. It’s a shame because, go far enough back, and Apple’s relatability was one of its main selling points. It may have had celebrities in its ads, but they were often genuine fans — and the whole thing never felt like a corporate attempt to capture coolness in a bottle as the fuddy-duddy likes of Microsoft would do. It’s way too early to write Apple’s original programming off, of course. Apple recently hired a pair of former Sony execs who helped bring to the screen shows including AMC’s Breaking Bad and Better Call Saul, and Netflix’s The Crown. But just like Apple’s $3 billion acquisition of Beats, which seemed like the first time Apple had tried to buy itself a cool factor instead of innovating, its original programming so far has made Apple look… well, tragically un-hip. By comparison, within its first year of launching original programming (with 2013’s House of Cards), Netflix racked up 14 Emmy Award nominations. Apple execs say the company’s not trying to compete with Amazon and Netflix, but the fact that all three are tech giants making original TV means that they will nonetheless be compared. Ultimately, the business model is the same: making shows people will want to watch in order to sell subscriptions to a service. However, where House of Cards‘ Frank Underwood doesn’t occasionally stop scheming to talk about how great Netflix is, right now all of Apple’s shows are designed as thinly-veiled infomercials for its own products. And people have a tendency to want to fast-forward through ads. Come on, Apple, you’re better than this!